ISTANBUL – A cloth around his head, trousers to his calfs, a summer coat with sash, a rather short beard, rather big feet in sandals, a boy on his shoulder and a girl standing next to him both with a present in their hand: the typical Saint Nicholas. At least, according to the statue a Turkish sculpturer made by order of the south-Turkish town of Demre, where Nicholas’ roots lay. The stature of ‘Saint’ will be revlealed/unveiled at Christmas Dat. Demre has a turbulent Saint-statue-history. 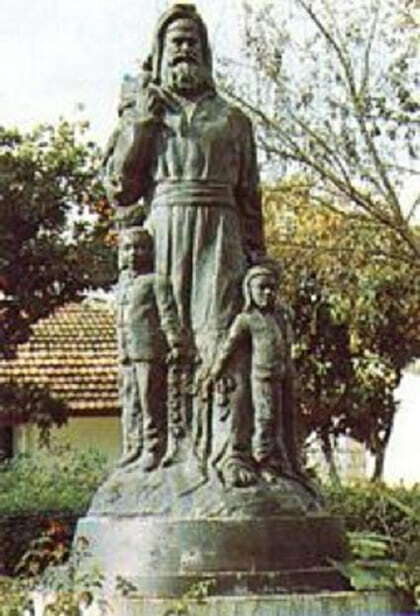 The first statue came in 1981: a bronze Nicholas with children around him. It was replaced in 2000, by a bronze gift from Russia, where Saint Nicholas is one of the most important saints. Suddenly in 2005 this statue was replaced by a plastic Santa Claus that, so explained Demre’s mayor, would appeal to more people world wide. The decision was critizised a lot, and so there had to come a news statue that would reflect the honour of Saint Nicholas much better. But it had to be a historically righter statue then the previous two, that showed ‘Saint’ as a typical saint with a cape and a holy look in his face. 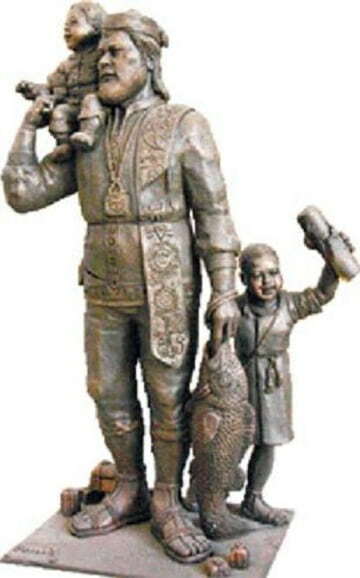 The new Saint is a saint like he could have really existed in those days and in that climate, so says the sculpturer. No warm clothes, no long thick neard, but airy clothes and a beard that was apparently more current at the time. And with Anatolian features, to which the artist gave extra attention, so writes daily newspaper Milliyet today. By the way, plastic Santa Claus will not make way for the new Saint. Santa will stay on his pedestal right in front of Saint Nicholas Church. The new statue will be placed in the harbour.